Conflict Minerals: A cover for U.S. allies and Western mining interests? As global awareness grows around the Congo and the silence is finally being broken on the current and historic exploitation of Black people in the heart of Africa, a myriad of Western based “prescriptions” are being proffered. Most of these prescriptions are devoid of social, political, economic and historical context and are marked by remarkable omissions. The conflict mineral approach or efforts emanating from the United States and Europe are no exception to this symptomatic approach which serves more to perpetuate the root causes of Congo’s challenges than to resolve them. The conflict mineral approach has an obsessive focus on the FDLR and other rebel groups while scant attention is paid to Uganda, which has an International Court of Justice ruling against it for looting and crimes against humanity in the Congo, and Rwanda, whose role inthe perpetuation of the conflict and looting of Congo is well documented by U.N. reports and international arrest warrants for its top officials. Rwanda is the main transit point for minerals stolen from the Congo irrespective of the rebel group – FDLR, CNDP or others – transporting the minerals. According to Dow Jones, Rwanda’s mining sector output grew 20 percent in 2008 from the year earlier due to increased export volumes of tungsten, cassiterite and coltan, the country’s three leading minerals with which Rwanda is not well endowed. In fact, should Rwanda continue to pilfer Congo’s minerals, its annual mineral export revenues are expected to reach $200 million by 2010. Former Assistant Secretary of State for African Affairs Herman Cohen says it best when he notes, “(H)aving controlled the Kivu provinces for 12 years, Rwanda will not relinquish access to resources that constitute a significant percentage of its gross national product.” As long as the West continues to give the Kagame regime carte blanche, the conflict and instability will endure. According to Global Witness’ 2009 report, “Faced With a Gun What Can You Do,” Congolese government statistics and reports by the Group of Experts and NGOs, Rwanda is one of the main conduits for illicit minerals leaving the Congo. It is amazing that proponents of the conflict mineral approach shout loudly about making sure that the trade in minerals does not benefit armed groups, yet the biggest armed beneficiary of Congo’s minerals is the Rwandan regime headed by Paul Kagame. Nonetheless, the conflict mineral approach is remarkably silent about Rwanda’s complicity in the fueling of the conflict in the Congo and the fleecing of Congo’s riches. Advocates of the conflict mineral approach would be far more credible if they had ever called for any kind of pressure whatsoever on mining companies that are directly involved in either fueling the conflict or exploiting the Congolese people. The United Nations, the Congolese Parliament, the Carter Center, Southern Africa Resource Watch and several other NGOs have documented corporations that have pilfered Congo’s wealth and contributed to the perpetuation of the conflict. These companies include but are not limited to Traxys, OM Group, Blattner Elwyn Group, Freeport McMoran, Eagle Wings/Trinitech, Lundin, Kemet, Banro, AngloGold Ashanti, Anvil Mining, and First Quantum. The conflict mineral approach, like the Blood Diamond campaign from which it draws its inspiration, is silent on the question of resource sovereignty which has been a central question in the geo-strategic battle for Congo’s mineral wealth. It was over this question of resource sovereignty that the West assassinated Congo’s first democratically elected prime minister, Patrice Lumumba, and stifled the democratic aspirations of the Congolese people for over three decades by installing and backing the dictator Joseph Mobutu. In addition, the United States also backed the 1996 and 1998invasions of Congo by Rwanda and Uganda instead of supporting the non-violent, pro-democracy forces inside the Congo. Unfortunately and to the chagrin of the Congolese people, some of the strongest advocates of the conflict mineral approach are former Clinton administration officials who supported the invasions of Congo by Rwanda and Uganda. This may in part explain the militaristic underbelly of the conflict mineral approach, which has as its so-called second step a comprehensive counterinsurgency. The focus on the East of Congo falls in line with the long-held obsession by some advocates in Washington who incessantly push for the balkanization of the Congo. Their focus on “Eastern Congo” is inadequate and does not fully take into account the nature and scope of the dynamics in the entire country. Political decisions in Kinshasa, the capital in the West, have a direct impact on the events that unfold in the East of Congo and are central to any durable solutions. The central claim of the conflict mineral approach is to bring an end to the conflict; however, the conflict can plausibly be brought to an end much quicker through diplomatic and political means. The so-called blood mineral route is not the quickest way to end the conflict. We have already seen how quickly world pressure can work with the sidelining of rebel leader Laurent Nkunda and the demobilization and/or rearranging of his CNDP rebel group in January 2009, as a result of global pressure placed on the CNDP’s sponsor, Paul Kagame of Rwanda. More pressure needs to be placed on leaders such as Kagame and Uganda’s Museveni, who have been at the root of the conflict since 1996. The FDLR can readily be pressured as well, especially with most of their political leadership residing in the West; however, this should be done within a political framework, which brings all the players to the table, as opposed to the current militaristic, dichotomous, good-guy-bad-guy approach, where the West sees Kagame and Museveni as the “good guys” and everyone else as bad. The picture is far greyer than Black and White. Hold to account companies and individuals through sanctions on trafficking in minerals whether with rebel groups or neighboring countries, particularly Rwanda and Uganda. Canada has chimed in as well but has been deadly silent on the exploitative practices of its mining companies in the Congo. Canada must do more to hold its mining companies accountable as is called for in Bill C-300. Encourage world leaders to be more engaged diplomatically and place a higher priority on what is the deadliest conflict in the world since World War II. Reject the militarization of the Great Lakes region represented by AFRICOM, which has already resulted in the suffering of civilian population; the strengthening of authoritarian figures such as Uganda’s Museveni, who has been in power since 1986, and Rwanda’s Kagame, who won the 2003 “elections” with 95 percent of the vote; and the restriction of political space in their countries. Demand that the Obama administration engage differently from its current military-laden approach and take the lead in pursuing an aggressive diplomatic path with an emphasis on pursuing a regional political framework that can lead to lasting peace and stability. To learn more about the current crisis in the Congo, visitwww.friendsofthecongo.organd join the global movement in support of the people of the Congo atwww.congoweek.org. Kambale Musavuli is spokesperson and student coordinator for Friends of the Congo. He can be reached atkambale@friendsofthecongo.org. Bodia Macharia is the president of Friends of the Congo/ Canada. She can be reached at bodia@friendsofthecongo.org. 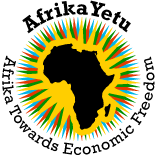 This entry was posted on Mar 23, 2011 by AfrikaYetu in Extractive Industry, Int. News, Integrity & Accountability.